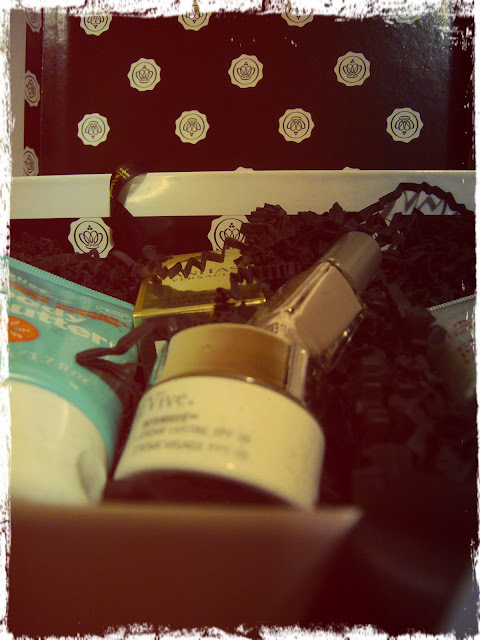 Hey everyone, I just wanted to share some snaps of the March Glossybox that I recently received. 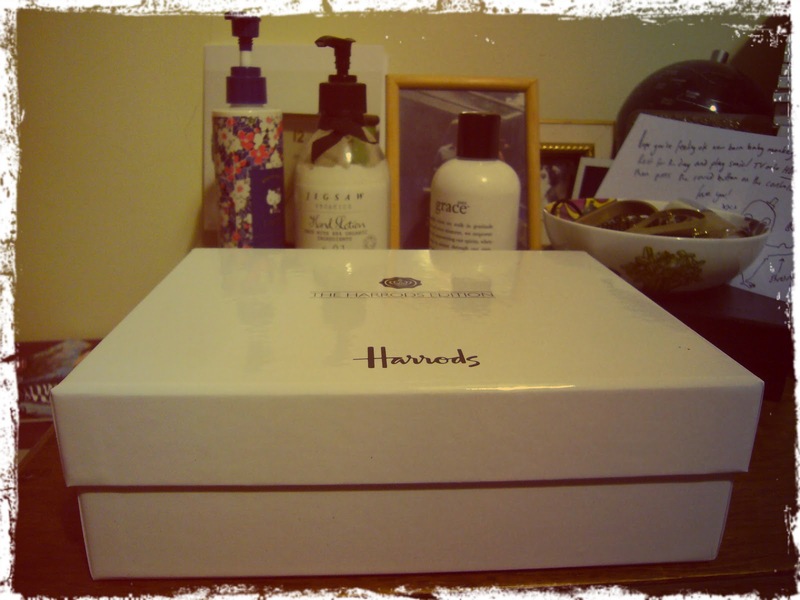 I subscribed to Glossybox at the beginning of the month as I had been debating whether or not to sign up for months and then the prospect of the Harrods collaboration swayed me! For those who don't know, GlossyBox is a subscription service which supplies you with 5 luxury beauty product samples per month for the flat fee of £10 (plus £2.95 p&p). You can cancel at any time so with this in mind I thought I'd give it a go, I could always cancel if I didn't like the results! Unfortch for my bank account, I liked the Box very much! I'd heard a lot of mixed reviews via spoilers from other beauty bloggers but I was still so excited to receive my own box. 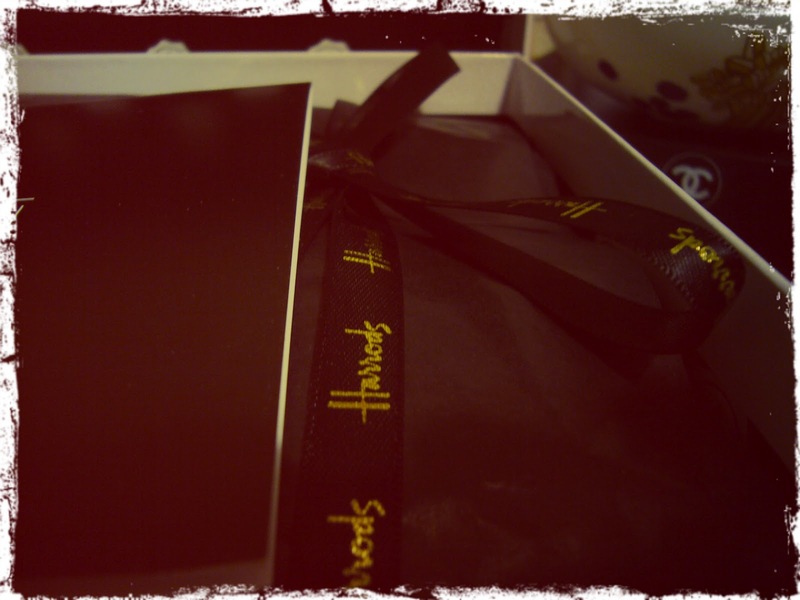 I'd heard there were all sorts of wonderful goodies inside, from Lancome Juicy Tubes to Burberry lipsticks. I didn't get either of these products but it's ok, I got some other lovely bits instead. 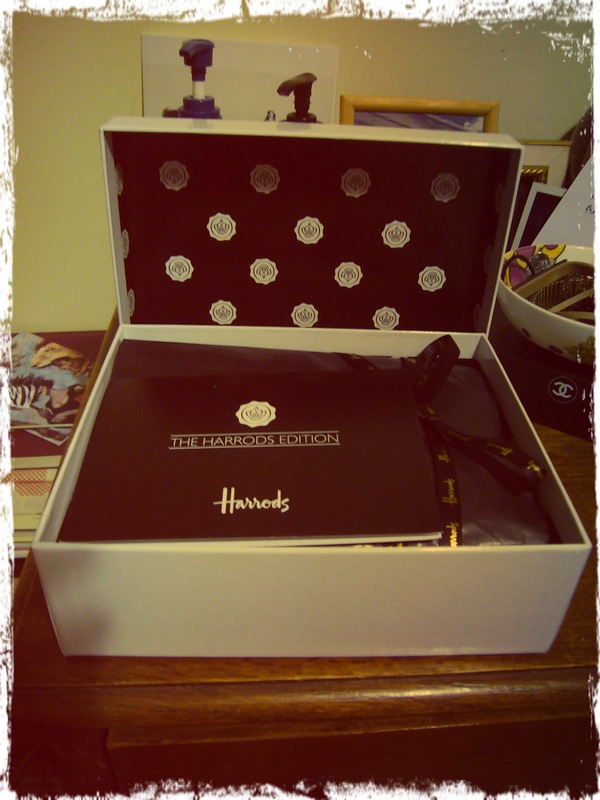 My box was a lovely strong card with a lift off lid (great for future storage) and was stamped with the Harrods logo, very posh! Inside it was packed with glossy black paper tied with a green and gold printed Harrods ribbon. There was also a card telling you a little about each product I received and how to use it, etc. -ReVive face cream (the smallest product sample but still I'd say maybe a week's worth. I've discovered that the standard sized pot costs £240 or thereabouts! So you can understand why the sample might be smaller! I've tried this cream and it is really lovely, very rich but to be honest, I would never be able to afford to spend £240 on a pot of face cream so if it wasn't for GlossyBox I'd never have had the opportunity to try this. So this was my experience of my first GlossyBox! I have decided to keep my subscription going because I feel the reward is worth the outlay. I've even got my mum thinking about signing up too! Do you guys get GlossyBox? I'd love to hear your thoughts on it!